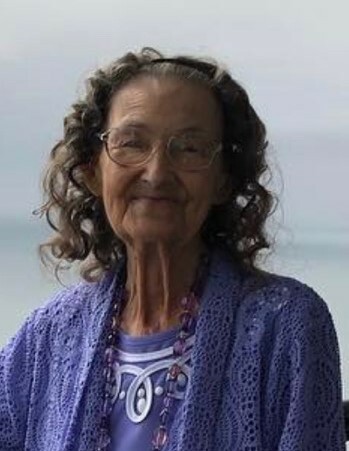 Evelyn Barringer, 89, of Norwood, passed away on Friday, April 12, 2019 at Atrium Health Care Stanly. Funeral services will be held at 11:00AM on Monday April 14, 2019 at Edwards Funeral Home Chapel. Rev. Caitlin McAlhany will officiate and burial will follow at Stanly Gardens of Memory. The family will receive friends on Sunday evening from 6:00 to 8:00PM at Edwards Funeral Home. Ms. Barringer was born in Coweta County, GA on December 20, 1929 to the late Lewis and Lucille Gaddy Barnett. In addition to her parents she is preceded in death by her husband, Fred Junior Barringer. She is survived by her children: Lewis Barringer of Norwood, Michael Barringer of Twinsburg, OH, and Charlotte Barringer of Norwood; Seven grandchildren, twenty great-grandchildren, and one great-great-grandchild.